4 Prongs Versus 6 Prongs – Which One Is Better? If you are buying any type of Round Shape Diamond for your engagement ring, you may be wondering which is better, 4 prongs or 6 prongs? 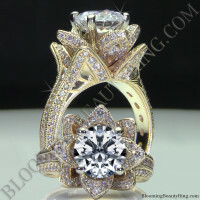 This question has probably been asked since the first engagement ring was presented, many centuries ago. 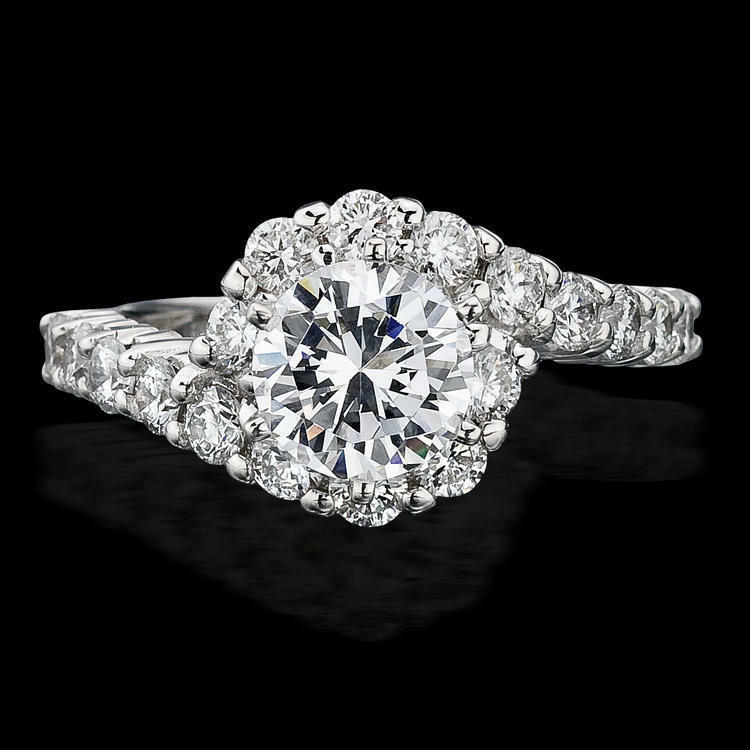 Even though there was no such thing as the modern Round Brilliant Cut diamond way back then, I am quite sure that even the Nobles were concerned with keeping their treasured Pendeloque or Briolette shaped diamonds held securely in their engagement ring. 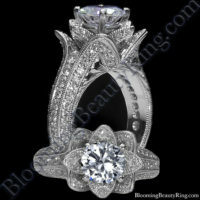 These very first rings for engagement were not Bezel Set, Tension Set or Channel Set engagement rings, but likely more along the lines of a Tiffany Solitaire with “prongs” to hold the diamond in place. 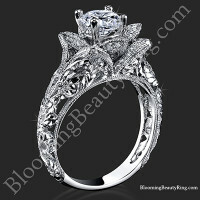 4 Prong Hand Engraved Flower Engagement Ring. 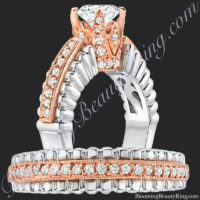 It is a fact that in many cases, a diamond engagement ring will fall in the top 3 category of "most expensive purchases" for many couples getting married. The other 2 most expensive purchases are typically a house and a car. 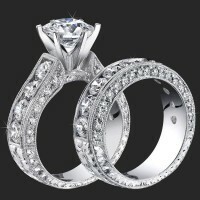 Even though our engagement ring settings are typically more affordable than our competitors and we can help you find an Excellent Diamond that is less expensive than anywhere else, the fact remains that an "average" diamond engagement ring purchase will still be in the thousands of dollars. This is where it starts to get tough. You are probably getting ready to drop a bundle of cash on your diamond engagement ring, and you would really like to make sure that the entire world will see just how gorgeous and sparkly your diamond is. 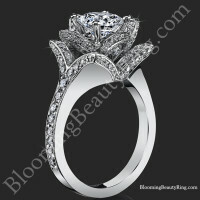 So you start to wonder, "Will 6 prongs hide the true beauty of my diamond, and will it still sparkle as much?" 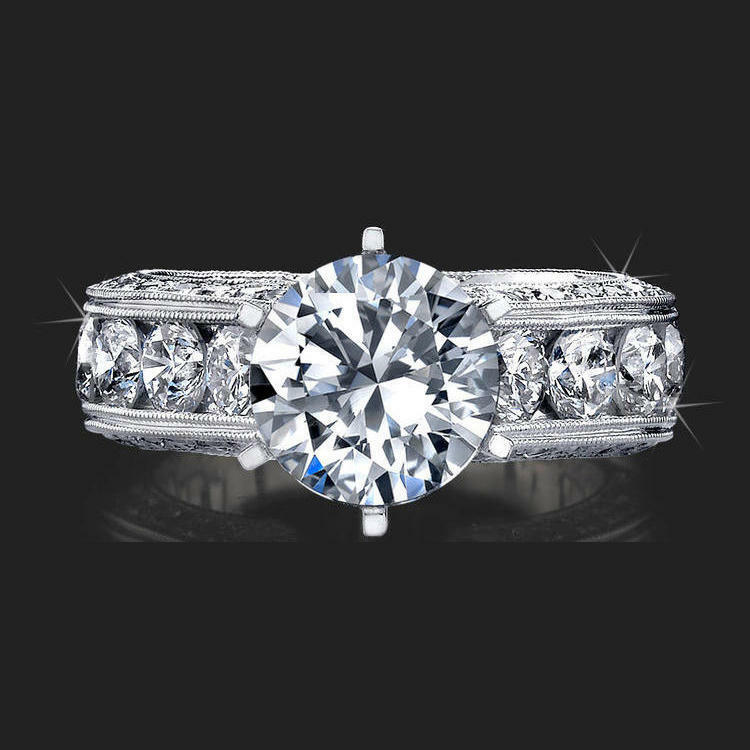 Maybe you are tempted to go with 4 prongs just so the diamond will be more visible and allow more light to pass through it, for that extra added sparkle. 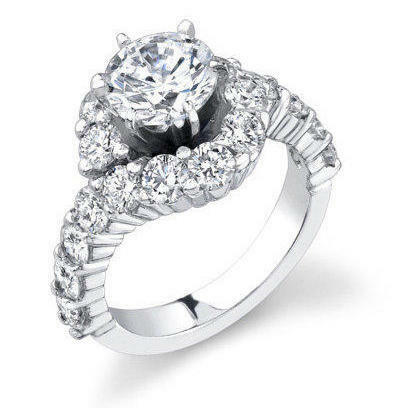 Perfect Twist and Loop Setting with Endless Diamonds and 6 Secure Prongs. 2.10 ctw. 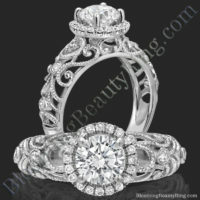 Round Diamond Engraved 6 Prong Channel Set Engagement Ring. For such an easy question, there really is no "perfect answer" to the question of "4 prongs or 6?" 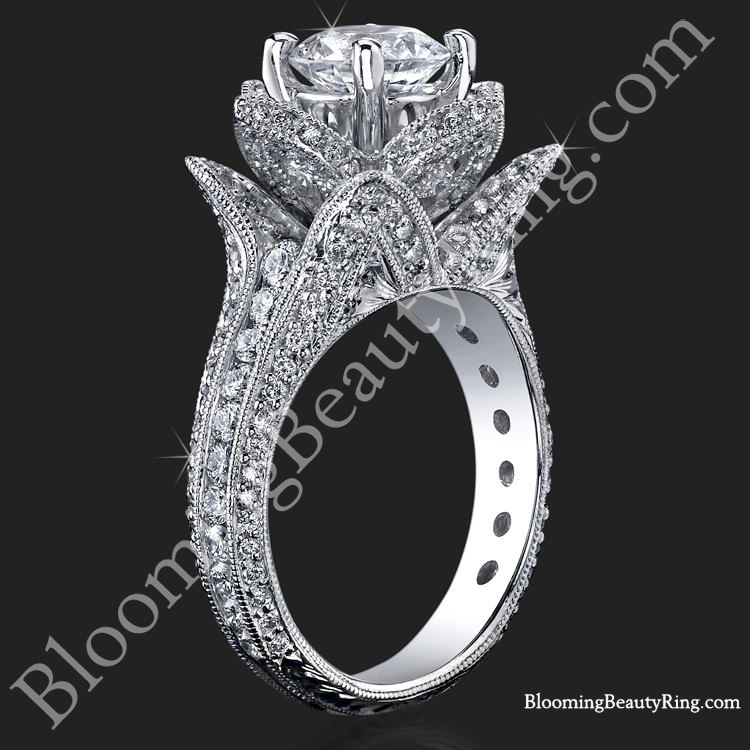 There is no doubt that a 6 prong head will hold your diamond more securely, however many people do like the idea of only having 4 prongs. In my own personal experience, I have to say that I actually like the appearance of a 6 prong head. 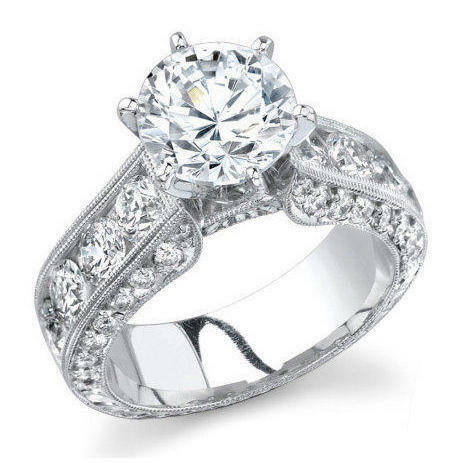 In the thousands of solitaire engagement rings that I have seen, I have come to the conclusion that 6 pronged diamond engagement rings just look better to me personally. They tend to have a "quality look" to them. 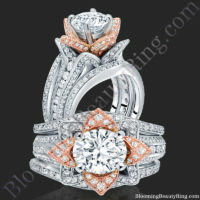 This is not to say that 4 pronged diamond engagement rings are not just as high quality, it is more just a perception for me. 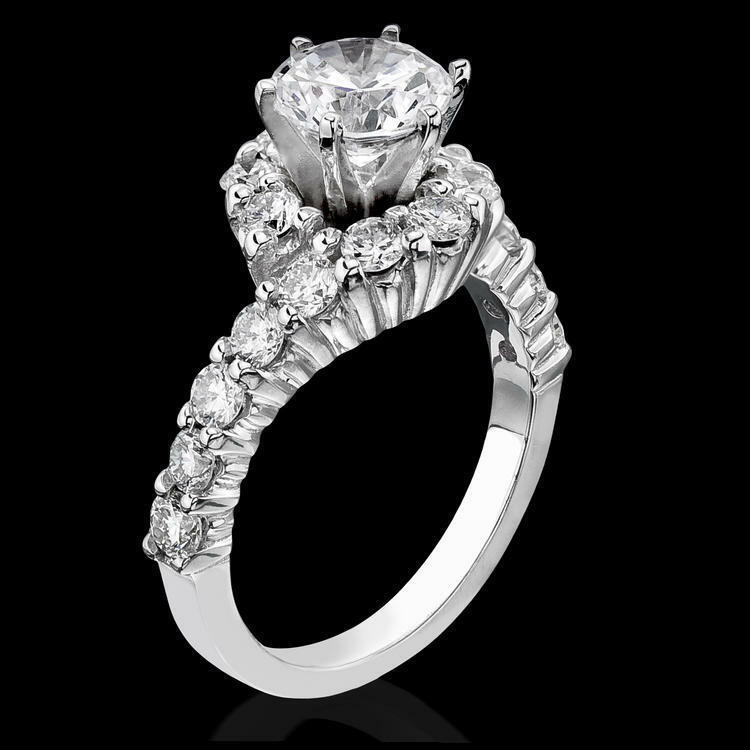 Really regardless of whether your engagement ring has 4 prongs or 6, it is really the company that made the setting that will determine the overall quality of that setting. 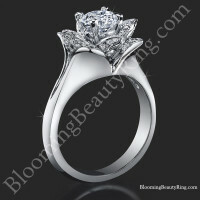 I know that many of our customers do prefer 4 prongs as well, and I will never fault them for that preference. Another factor to consider is the type of activities you will engage in and how often you will wear your engagement ring during those activities. 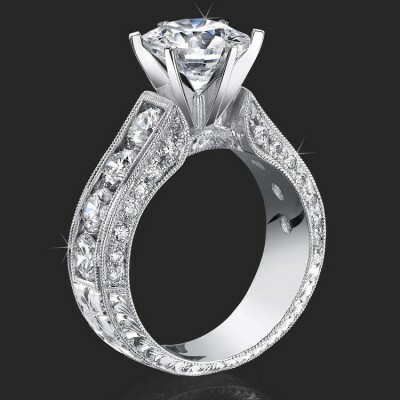 This will have an impact on how often and how vigilant you will need to be with the overall maintenance of your engagement ring and it's prongs. If you are the type of person that wants to put on your engagement ring and be "worry free", then 6 prongs may be a better choice. Remember that regardless of your choice, engagement rings do require maintenance, just like anything else. Make sure to have your engagement ring examined by a professional jeweler at least twice a year (every 6 months) With specific attention paid to the prongs, to make sure they are not coming loose, or have a microscopic crack. A little trick you can do at home is to hold your engagement ring up to your ear and tap on it. Make sure not to touch or hold the diamond while doing this. 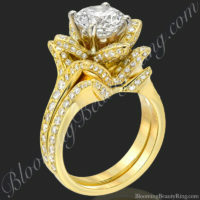 If you hear any type of "rattling", then you may have a loose diamond. You will want to have it looked at as soon as possible, and fixed if necessary. It may be something as simple as just tightening the prongs. If you purchased your engagement ring from us, we will tighten your prongs free of charge when you send it back to us for any type of maintenance. Think about the metal you use when considering 4 prongs or 6 prongs. 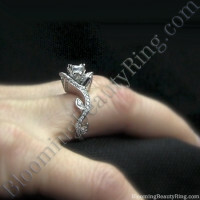 The type of metal your ring is made from can have an impact as well. 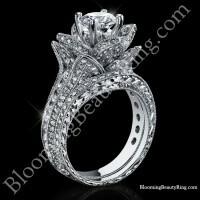 Platinum engagement rings will tend to be more effective at holding diamonds secure. Platinum is very dense and very durable, with a higher tensile strength than gold. This means that platinum prongs will stay in place better than gold prongs and be less likely to crack, break or come loose. 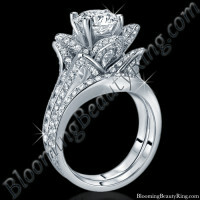 However a draw back to platinum engagement rings is their high cost. Platinum is approximately 30 times more rare than gold and can cost significantly more for any type of jewelry as a result. 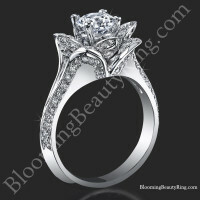 A simple solution if you can not afford a platinum engagement ring but would really like to benefit from the extra security that platinum offers, would be to purchase a gold engagement ring with platinum prongs. 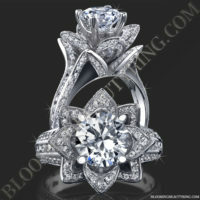 We will gladly offer that for any of our engagement rings, as long as the design allows it. 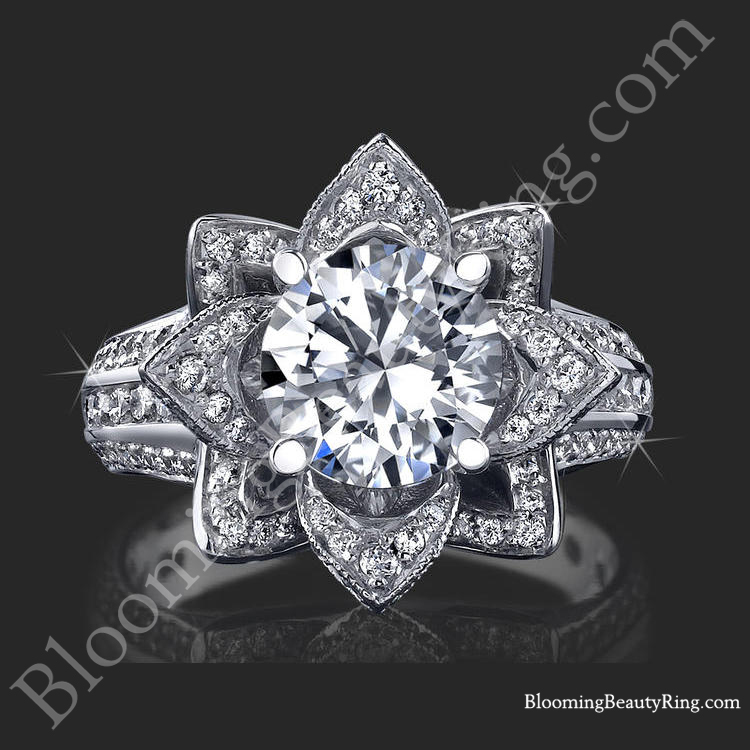 You will pay a little bit extra for the platinum prongs, but not nearly as much as having your entire engagement ring made from platinum. So the question of 4 prongs or 6, really boils down to a couple of things.